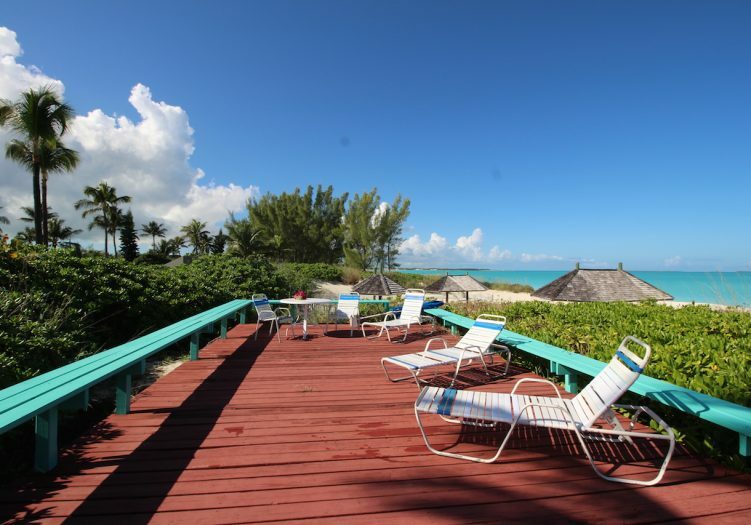 LOCATION, LOCATION, LOCATION… Beach Villa 707 is only 25 steps away from the award-winning pristine, powder white sands of the Treasure Cay Beach and the stunning turquoise waters of the Sea of Abaco. The charming 2 bedroom, 2 bath furnished villa is located within the desirable Beach Villa community and steps away from the spectacular heated villa pool, over-sized patio and private observation deck, along with the beckoning sand and surf just beyond. Comfortable island living space is found in this 760 square foot home with an open living concept. The living room with couch and arm chair in tropical print, dining room with seating for 4 and kitchen with modern appliances and breakfast bar serve families well as they welcome a laid-back lifestyle that Villa 707 provides. A restful retreat is found in the two bedrooms both with en-suite baths. The master bedroom with a full bed and a twin outfitted in apple green bedding is light and bright and offers a private, outside patio. A large dressing area with additional dresser and closet space is included. The twin guest room done in sunny yellow has an adjoining bathroom with a tub/shower combination. Visualize stepping outside to dine privately under the stars as you listen to the gentle sounds of the nearby surf and feel the calming breezes. 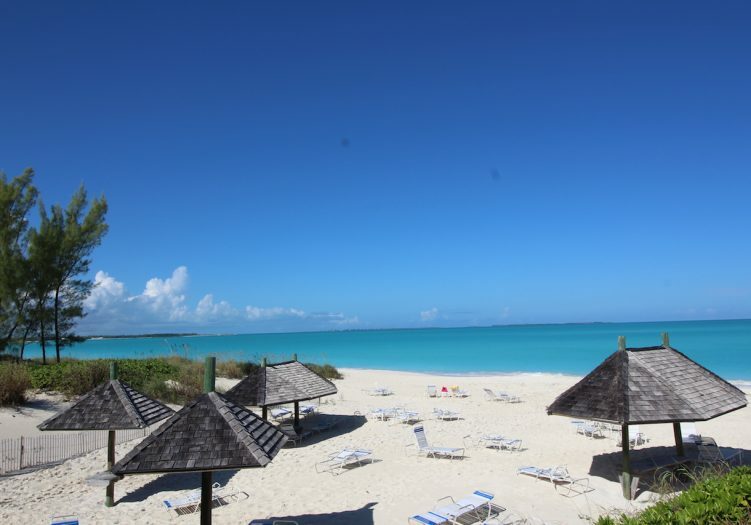 Only a short walk to the quaint village of Treasure Cay, which provides retail shops and restaurants, a full service marina, bank, post office, church and medical center. An 18 hole championship golf course along with a recently resurfaced tennis center guarantee outdoor enjoyment and exercise. 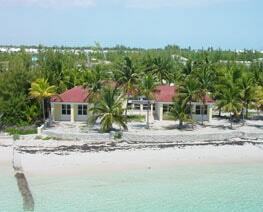 Nearby find car, boat and golf cart rentals along with eco-adventure tours to explore The Abacos. 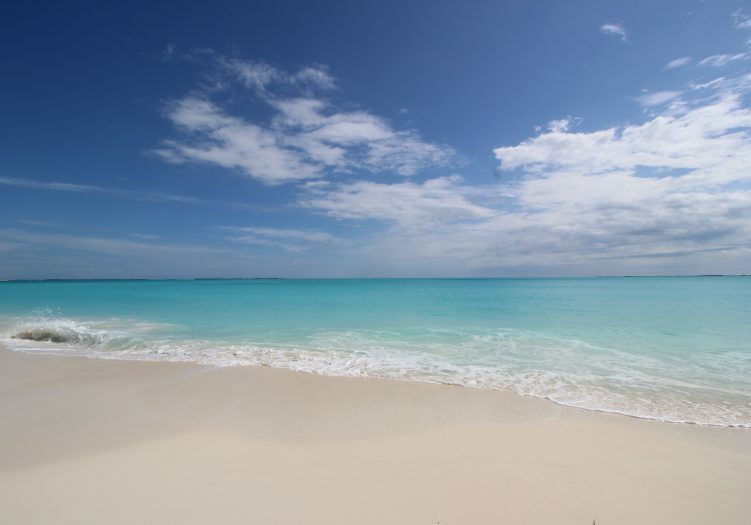 The outer cays offer unique opportunities to experience historical sites, such as the Hopetown Lighthouse or the Sculpture Garden of New Plymouth, or take a deep sea fishing trip out on the Atlantic, feed the pigs on the deserted No Name Cay or snorkel on the reef behind Guana Cay. 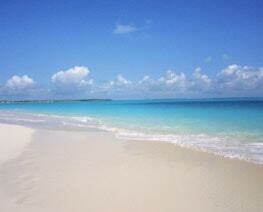 Treasure Cay is an excellent home base for your well deserved escape from that daily routine. 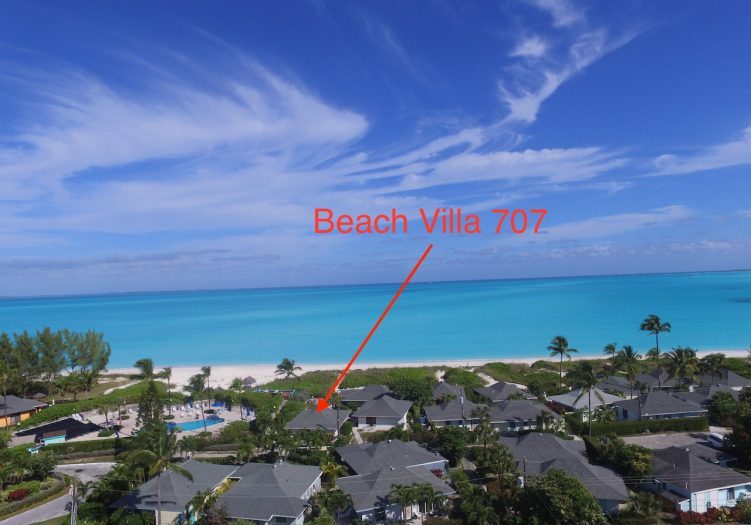 Capture the essence of island living at Villa 707 with its close proximity to the beach and all the amenities of the villa complex, including a community washer and dryer facility, well maintained lush landscaping, and the large fresh water pool and lounging area. 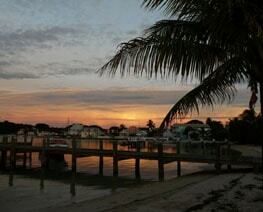 It is the perfect choice for a family vacation getaway, full time residence, or investment rental property. 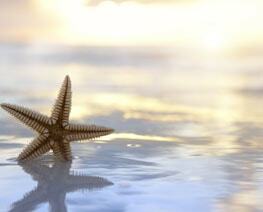 Live where dreams meet reality!